Granville Island is located on the south side of the Granville Street bridge in False Creek. Historically, it was an industrial area housing numerous factories that made everything from shingles to barrels. Today its businesses include a wonderful public market, an art school, a marina, various craft studios and theatres. It is a great place to walk, cycle and take a dog as it is connected to the Seawall. Granville Island has a diverse mix of people and activities – a great place for tourists and locals to eat, shop, enjoy entertainment and explore. There is a large arts community with all of the artisans, art supply stores, Emily Carr University (the most prominent art and design school in Vancouver), the Arts Club Theatre, and the buskers. In terms of things to do in the evening, there are theatre shows, the Backstage Lounge for drinks and live music, and Improv Night at the Arts Club Theatre on Fridays and Saturdays. There is only one bus that will take you directly to Granville Island without need for transfer. Any other bus will require a minimum of two transfers. – Take the #50 False Creek South via Granville Island southbound from the corner of Granville and Georgia, and get off at West 2nd Avenue and Anderson Street. 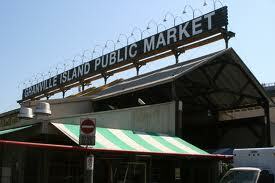 Look for the large Granville Island sign along Anderson Street northward. Another fun way to get to Granville Island is by boat on either the Aquabus or the False Creek Ferry . I definitely recommend trying this mode of transportation during the summer months. The Aquabus departs from the foot of Hornby Street, Stamp’s Landing, Yaletown (the foot of Davie Street), and Science World. The False Creek Ferry departs from the Maritime Museum, the Aquatic Centre (under the Burrard Street bridge on the Downtown side), Stamp’s Landing and Science World. For more information on how to get there by bike, car or on foot, click here. Granville Island Hotel (1253 Johnston Street) – Waterfront hotel located right on Granville Island. You will find luxurious rooms and welcoming staff in this boutique hotel. False Creek Community Centre (1318 Cartwright Street) – Facilities include a fitness studio, showers/sauna, pottery studio, tennis/sports courts, computer lounge and waterpark. Offering classes and programs for all ages. Beadworks (5 – 1666 Johnston Street) – This is the ultimate store for all of your jewellery making needs. Their friendly and knowledgeable staff will be happy to provide you with advice. They also offer classes for adults and children. Blackberry Books (1663 Duranleau Street) – This boutique bookstore has been operating in this location for over 30 years. They feature Canadian fiction, mysteries, biographies, cookbooks, children’s books, psychology, business, travel and more. Circle Craft Co-op (1 – 1666 Johnston Street) – Featuring the craft work of local British Columbian artisans. A great store to find that perfect unique gift. Featuring a selection of traditional and contemporary craft in a variety of mediums. Don’t forget to check out the beautiful jewellery! Edie’s Hats (11 – 1666 Johnston Street) – If you love hats, look no further. This is one of the best hat stores in the city! Featuring everything from bowler hats to berets, you won’t have trouble finding a hat (or two) that suits your fancy. Gigi B. (1663 Duranleau Street) – Gigi B. is an elegant boutique store that offers a quality selection of functional art and gifts. A must for the design-savvy urbanite! Paper-Ya (9-1666 Johnston Street) – This well-stocked paper “ya” (the Japanese word for shop) is the place to go for the most exquisite paper and paper products. They have everything from journals and day planners to origami folding paper. Market Kitchen (2 – 1666 Johnston Street) – Kitchen store that is unique for its hard to find specialty bakeware. You have found the right store if you see the colourful “banana protectors” hanging outside their front door. Fibre Art Studio (1610 Johnston Street) – Beautiful one-of-a-kind items like hand-woven scarves, blankets and tapestries. Their products are crafted from hand-dyed mohair, wool, cotton and handspun yarns. Granville Eyeland Opticians and Framemakers (15-1666 Johnston Street). – Don’t be caught wearing the same frames as your mother-in-law ever again. At this store, you can find the most unique frames crafted from materials like wood, antique tortoise shell, gold and silver. Maiwa Handprints (6-1666 Johnston Street) – Gorgeous handwoven, blockprinted, embroidered and naturally dyed textiles. Everything in this store is created by artisans from India and other Asian countries. Don’t forget to visit their supply store as well if you are interested in creating some of your own designs as well! Liberty Wine Merchants (1660 Durlanleau Street) – A sophisticated selection of wines from around the world, including local wine from BC wineries. The staff are highly knowledgeable and will help you in selecting a bottle for any occasion. Red Sky Clothing and Footwear (1520 Duranleau Street) – Offering a good selection of clothing and footwear for both men and women from quality brands such as Clarks, Rockport, ecco and Mephisto. Make (1648 Duranleau Street) – Purchase a garment or bring your own for custom embroidering. Check out their quirky knick knacks – perfect gag-gifts to give to your best friend or younger brother. Opus Art and Framing Supplies (1360 Johnston Street) – Quality supplier of fine art supplies and picture frames. Offering custom framing services. Located at 1496 Cartwright Street. You will know that this is the ultimate destination for kids as soon as you enter the front door – there is a half-sized door that is there for the little ones. The following is a glimpse of some of the stores located in the Kids Market. The Adventure Zone – If your kids ate too much sugar over at the market, The Adventure Zone is a perfect place for them to work off that extra energy. An indoor playground that includes a ball pit, climbing structures, slides and more. Kaboodles – Voted the best independent toy store in Vancouver. Offering a wide selection of toys and games for infants to teens. Knotty Toys – A complete selection of quality wooden toys including play furniture, doll houses, puzzle games, musical instruments and rocking horses. Humpty Dumpty Books and Music – Books, music, DVDs and audiobooks for infants to teens. Educational and fun! I’m Impressed Paper Arts – Paper arts, rubber stamps and scrapbook store featuring classes by quality instructors from around the world. Granville Island Toy Company – Featuring a comprehensive selection of educational toys you may not find at the big box stores. Also featuring eco-friendly toys for green-conscious families. Clownin’ Around Magic – Magic for all ages! Everything from stage props to card tricks and pranks. Located at 1689 Johnston Street. 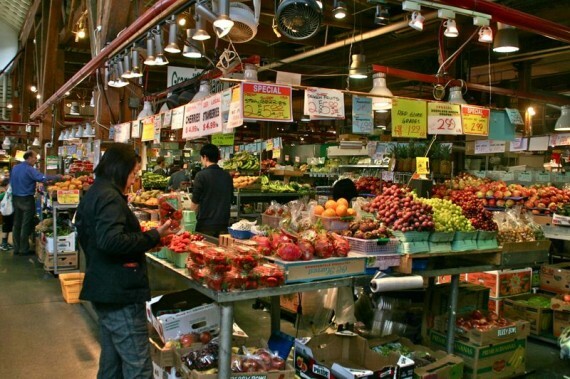 Granville Island’s Public Market is home to a wide variety of local produce stands, a food court that displays international cuisine, top-quality coffee stands, artisan vendors and more. The following are a sample of my favourite places to eat and shop. For more, click on the link above and select “Public Market” in the drop-down menu. Fraser Valley Juice and Salad – Fresh squeezed fruit and vegetable juices, salads, salad rolls and steamed/stir-fried vegetables. Fresh and healthy! Curry 2 U – Healthfully prepared Indian dishes for meat-lovers, vegetarians and vegans alike. Who knew vegetarian food could be so tasty?! Gourmet Wok – offering quality Chinese food. Choose 1, 2 or 3 items served with your choice of fried rice or noodles. La Tortilleria – Authentic Mexican cuisine. Fresh and healthy selection of soft or hard-shell tacos, burritos and enchiladas. Their black beans are to die for! Terra Breads Bakery – Artisan bread, pastries, cookies etc! My favourites include their savoury foccacias, blueberry bread, Belgian chocolate brownie, and the Italian cheese bread. The Perogy Place – Delicious perogies, cabbage rolls, borscht and more. Combination plates are a great option if you can’t make up your mind. Pizza Pzazz – Rustic fresh-baked pizza made with fresh ingredients. The slices are generous and oh-so-tasty! Make sure you try their artisan gelato and sorbetto – made on-site daily. Omi Japan – Choose from a variety of sashimi and sushi items made from the freshest fish. If raw isn’t your thing, order some tempura or a teriyaki stir-fry dish with rice or noodles. Phoenix Fast Food – Greek and North American dishes made with fresh ingredients. Their chicken and lamb dishes are delicious – wrap it up in Gyro or get it on skewers as souvlaki. Muffin Granny – Mouth-watering muffins, scones and cookies fill their display case. Order one of their specialty crepes and watch them work their magic right before your eyes. Kaisereck Delicatessen – This is the place to go if you are looking for a quality hot dog. Or, if you want a sandwich, choose from a variety of fresh ingredients and they will make it right before your eyes. The Stock Market – Everything is made from scratch with only the freshest ingredients. Choose from a quality selection of pre-packaged soups, stocks, marinades and dressings. And don’t forget to try one of their heart-warming soups served with foccacia bread. Porridge is served in the morning and comes with a delicious fruit compote. Laurelle’s Fine Foods – Quality home-style prepared foods and bakery items. Perfect place to shop if you want to put together a basket for a picnic on a sunny day. Market Grill – The best burgers in the market served with freshly cut wedge fries. Breakfast is also offered before 10:30am and they make a mean omelette. Siegel’s Bagels – Authentic Montreal-style bagels that are kettle boiled then baked in a custom wood-burning oven. My suggestion is their smoked meat bagel. They bring in the smoked meat from Montreal, pile it on top of your choice of bagel and serve it with hot/regular mustard and a dill pickle. Available in a regular and large size. Stuart’s Bakery – The most appetizing display-case in the market filled with cakes and pastries galore. Their atisinal breads and freshly prepared granola are also worth mentioning. La Baguette et L’Echalote Bakery – Choose from a quality selection of baguettes, artisan breads, pastries, cakes and sandwiches. Most notable are their croissants – choose from plain butter, chocolate or chocolate almond. A true French experience! Petit Ami – Specializing in organic, shade, estate grown, bird-friendly and Rainforest Alliance certified coffees. Their coffee is outstanding, and to top it off, their staff are upbeat and friendly. For the eco-minded, their Lorring Smart Roaster uses 80% less fuel than your traditional roaster. J.J. Bean – Locally roasted coffee that will knock your socks off. Their espresso-based drinks are strong and not for the faint of heart. If you dub yourself a coffee aficionado, J.J.’s will leave your palate satisfied. Blue Parrot Espresso Bar – A good option if you are looking for a one-stop shop for food to go with your coffee. Choose from a variety of homestyle sandwiches and pastries. Granville Island Tea Company – Choose from a huge selection of the finest loose leaf teas. If you like chai lattes, be sure to ask about their freshly brewed chai. Spicy, aromatic and really popular with their regulars. 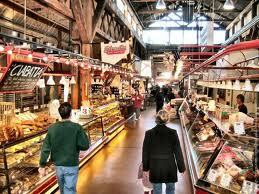 Tenderland Meats – Offering the finest quality gourmet meats and poultry, specialty meat products and deli cuts. Armando’s Finest Quality Meats – Full-service meat shop that specializes in custom cuts. Unique requests are welcome. The Salmon Shop – The freshest local salmon offered as filets, steaks, lox, smoked salmon and salmon candy. A variety of other seafood is also available. Seafood City – Offering a wide variety of fresh seafood, including some harder to find items. Longliner Seafoods – A large variety of hand-selected seafood. The staff are knowledgeable and will be happy to offer menu ideas. If you want to take something home, ask about their smoked salmon pouches (they require no refrigeration) or their travel packing. Jackson’s Poultry – Free-run, non-medicated, locally raised poultry products, in addition to other specialty poultry products and game birds. Benton Brothers Fine Cheese – New to the Public Market, they offer the finest selection of artisinal cheeses. Their staff are knowledgeable and will be happy to assist you in finding a cheese that you love. Dussa’s Ham and Cheese – A cheese lover’s haven! Offering a vast selection of quality cheeses and gourmet meats to pair. They also have a variety of imported mustards, crackers and other Italian specialties. Organic Acres Market – The only vendor in the market that offers only organic produce. Here you will find the usual suspects, in addition to some of the harder to find items. Sunlight Farms – Fresh fruits and vegetables sourced from local farmers. They offer seasonal items in addition to the year-round staples. Oyama Sausage Company – Offering a variety of gourmet sausages made by a fifth generation master sausage maker form Europe. Everything is made locally with the freshest ingredients. They also have a good selection of pate, prosciutto, ham, salami and cheese. Candy Kitchen – An assortment of bulk and pre-wrapped candies for those with a sweet tooth. They also have chocolate and a collection of collectible Pez dispensers. ChocolaTas – Hand-made designer chocolates in traditional and creative flavours. Order by piece or choose one of their pre-selected boxes. Duso’s Italian Foods – Specializing in gourmet Italian fare – from prepared pastas and salads to a selection of olives, dips and cheeses. Lee’s Donuts – Hands-down the best donuts in the city! Most notable are their honey dips, cinnamon, Barvarian and chocolate crunch. As with any other donut, they are the best fresh so I suggest leaving enough room for at least one. Olde World Fudge – Satisfy your sweet tooth by choosing from their large selection of fudge, peanut brittle, candy apples and more! If your timing is right, you might get the opportunity to witness their fudge being prepared in a huge cauldron. South China Seas Trading Company – Imported food items from Asia, India, the Carribean and Latin America. Everything from hard to find spices to an assortment of condiments. A unique selection of cookbooks is also available. The Grainery – Offering bulk and pre-packaged spices and grains for all of your cooking and baking needs. The Milkman – A wide selection of dairy products including quality milk, yogurt and butter. They also have a frozen yogurt and ice cream stand if you are looking for a cold treat. V&J Plant Shop – For all of your plant and floral needs. Choose from a selection of beautifully pre-arranged bouquets, or put in a request for a custom bouquet. Granville Island Florists – Specializing in colourful local and tropical flowers, in addition to a wide assortment of plants. 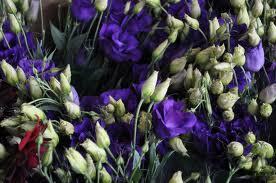 Bouquet and arrangement services are offered for celebrations and special events. Edible Canada – Featuring gourmet dishes and drinks created with ingredients from BC and Canada. Service is friendly and the atmosphere is unpretentious. After you finish your meal, be sure to visit their retail store. Bridges Bistro – Enjoy the beautiful view of False Creek from their open-air patio. Seafood, pizza and burgers are featured on their menu. A good place to take the family. Whet – Fresh seafood prepared in a contemporary setting. Ask for a seat on their patio and enjoy a glass of wine with your meal. The Sand Bar – Fresh seafood and fish restaurant with one of the best patios in the city. Enjoy their waterfront view from every seat in the house! Cats Social House – Dishes created with fresh ingredients sourced from the market, local farms and sustainable resources. All served in a stylish setting. Dockside Restaurant – Enjoy the view through their floor to ceiling windows. Their menu features items prepared on their wood-fired grill, forno oven and rotiesserie. 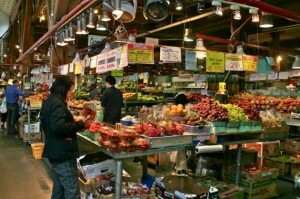 Granville Island is home to two educational institutions – Emily Carr University and Pacific Institute of Culinary Arts. Emily Carr University (1400 Johnston Street) – Offers continuing studies art and design courses that are open to the public. Pacific Institute of Culinary Arts (101-1505 West 2nd Avenue) – Offers specialty classes and programs that are open to the public. Arts Club Theatre Company – Arts Club Theatre is the largest theatre company in Western Canada. Check out their website for a listing of their current shows at one of their three venues. 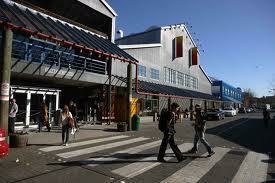 Their Granville Island Stage box office is located at 1585 Johnston Street, right next to the Public Market. Carousel Theatre Company and School (1411 Cartwright Street) – Featuring theatre for children and their families. Also offers creative acting courses for children and youth between 3 to 16 years old. Ruby Slippers Theatre (1398 Cartwright Street, 2nd floor) – Award-winning theatre production company that has a reputation of smart social satire that is sure to entertain. The Improv Centre (1502 Duranleau Street) – Home to Vancouver TheatreSports League. For those looking to laugh, check out one of their shows between Wednesday to Sunday. Check out their website for their current schedule. Waterfront Theatre (1412 Cartwright Street) – Since its transformation from a machinery building over 30 years ago, the Waterfront Theatre has hosted a myriad of productions. Located next to the Kid’s Market. Axis Theatre Company (1398 Cartwright Street) – Award-winning theatre offering theatrical productions for children, families and adults. Performance Works (1218 Cartwright Street) – Originally a machine shop dating back to the 1920s, the Performance Work building was converted into a permanent rehearsal and performance venue. Features exciting performance events and productions. Farmers Market – Takes place between June and October every year in the Triangle Square (between the Net Loft and the Public Market). You will find the freshest produce brought to you by local farmers, in addition to fresh flowers and plants, bread, artisan chocolate and more! Vancouver Wooden Boat Festival – Takes place in August every year. Check out the displays on land and water and learn all about wooden boats. Activities such as rope tying and family boat building are also featured! Vancouver International Fringe Festival – Takes place every September every year. Showcasing unknown or up-and-coming local playwrights. In the 2011 “Fringe Fest”, 600 performances by 80 groups over 11 days were featured. Get ready for a quirky, fun and uncensored experience! Vancouver International Writers’ Festival – Held every year over 6 days in late October, this festival attracts the world’s best writers to Vancouver. Featuring internationally renowned and undiscovered authors alike. In previous years, authors such as Margaret Atwood, Timothy Findley, Alice Munro and Frank McCourt have been in attendance. Administration: If you have any questions or require assistance, the Granville Island Administration Office is located on the 2nd floor at 1661 Duranleau Street or call (604) 666-6655.